Mametz Wood: three syllables that have lost none of their power to appal, after almost a hundred years. On 7 July 1916 the infantrymen of the 38th or Welsh Division, most of them volunteers and amateur soldiers, were ordered to make a frontal assault on a German-held line in front of a wood, roughly a mile in length, near the small village of Mametz, some twenty miles north-east of Amiens . It was just a week after the disastrous first day of the Battle of the Somme, when over 19,000 men had been killed. 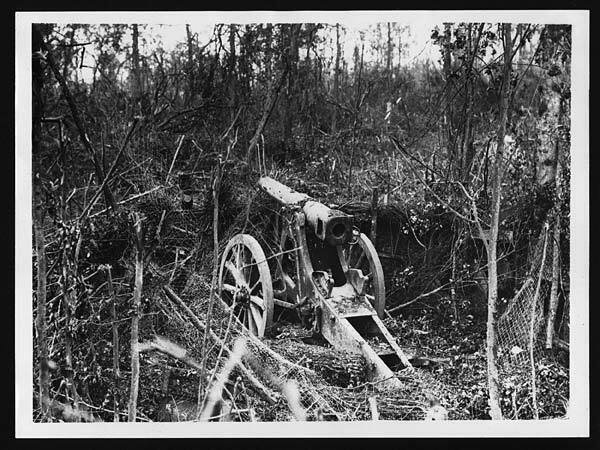 The Welsh soldiers walked straight into the machine guns of the professional, German soldiers well-entrenched at the edge of the Wood. 400 were killed on the first day of what became a five day battle. By its end, following fierce and confused hand-to-hand fighting within the wood, 4,000 men had been killed or wounded. The chaotic and blood-soaked battle immediately became the subject of controversy. Field-Marshall Douglas Haig was furious with the initial lack of success, two commanding officers were sacked, and accusations of incompetence and even cowardice flew about. Though the wood was finally captured, the price in lives and injuries was huge, and victory proved near-meaningless. One of the many remarkable aspects of Mametz Wood was the presence there of a number of visual artists and writers, some well-known, other less so, who either took part in the battle or were in its vicinity. All of them transfigured their experiences of the battlefield into creative work, sometimes at heavy personal cost. It was the visual visual artists who responded first, initially with drawings and sketches, later with paintings. 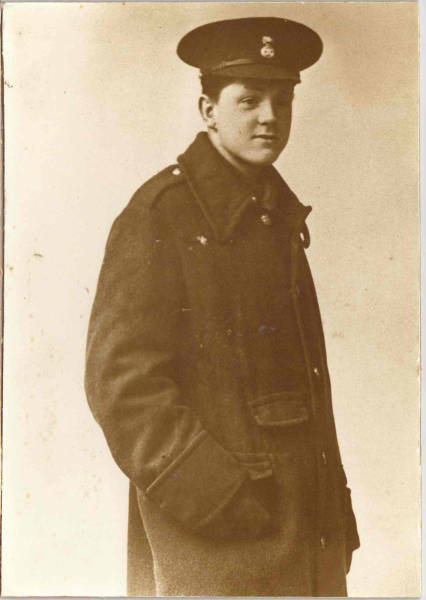 The poet-artist David Jones, a Londoner of Welsh extraction who had trained as an artist in Camberwell School of Art, served in the 1st Battalion of the Royal Welch Fusiliers as a private and fought at Mametz Wood. He made vivid pencil sketches of his comrades, in the trenches and dugouts, and behind the lines, as they went about their work and tried to rest, and of the destroyed towns and villages behind the front. 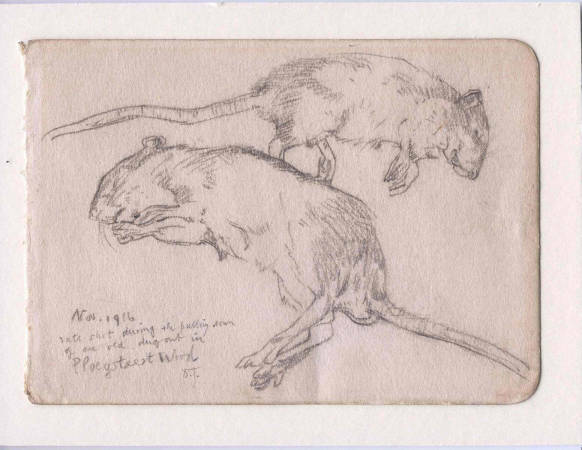 One of the most affecting of the drawings, reproduced in Anthony Hyne’s David Jones, a fusilier at the front: his record of the Great War in word and image (1995) is one of dead rats. It’s remarkable how careful, well-observed and sympathetic they are, considering the extreme stress Jones must have been feeling at the time. Their straightforward style comes as a surprise to those more used to his post-war, modernist manner. 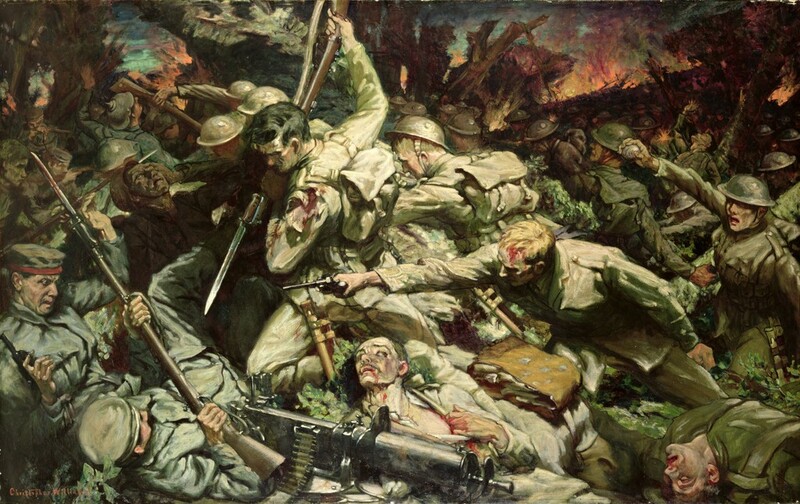 The Maesteg painter Christopher Williams, though not an official war artist, was allowed to visit the western front and was commissioned by David Lloyd George to paint what became ‘The charge of the Welsh Division at Mametz Wood, 11 July 1916’, now in the collection of National Museum Wales and on loan to the Royal Welch Fusiliers Museum in Caernarfon. It’s a massive picture (173 x 274.3 cm) that leaves little to the imagination. The dead, the dying and the about to die twist and thrash in a tumult of violence and suffering. A central figure is on the point of thrusting his bayonet into an enemy combatant’s body, while his comrade shoots another with his pistol. In the foreground a machine gun lies untended in the hand-to-hand struggle. In the background fires rage, as in medieval paintings of hell, silhouetting the wrecked trees of the wood. It’s an infernal vision, with no hint of the heroic. Williams was a pacifist and his view of the conflict is free of all illusion. A sketch for the painting, shown at the National Library of Wales’s large Christopher Williams exhibition in 2012, is even more graphic in its horror. The fighting within the Wood was unusual in being hand-to-hand – most men died or were wounded from a distance – and especially ferocious. Other painters chose to approach the battle more obliquely. In the Imperial War Museum is a watercolour by a little known artist called J.B. Morrall, showing the wood after the battles of 1916. Bare, blackened torsos of trees lie splintered in a waterlogged desert. In the foreground, behind a ruined tangle of barbed wire, a dead soldier’s legs poke out of a flooded shell-hole. A pencilled title, presumably by the artist, reads ‘The abomination of desolation’. In the Glynn Vivian Art Gallery in Swansea is a haunting oil painting by Edward Henry Handley-Read, entitled simply ‘Mametz Wood’. Handley-Read (1870-1935) was a professional painter and an illustrator of the kind of Edwardian books for boys that celebrated empire and militarism. When the Great War broke out he enlisted in the Artists’ Rifles and eventually became a Captain in the Machine-Gun Corps. He was well known for his detailed drawings of military equipment, which were used in training machine-gunners. 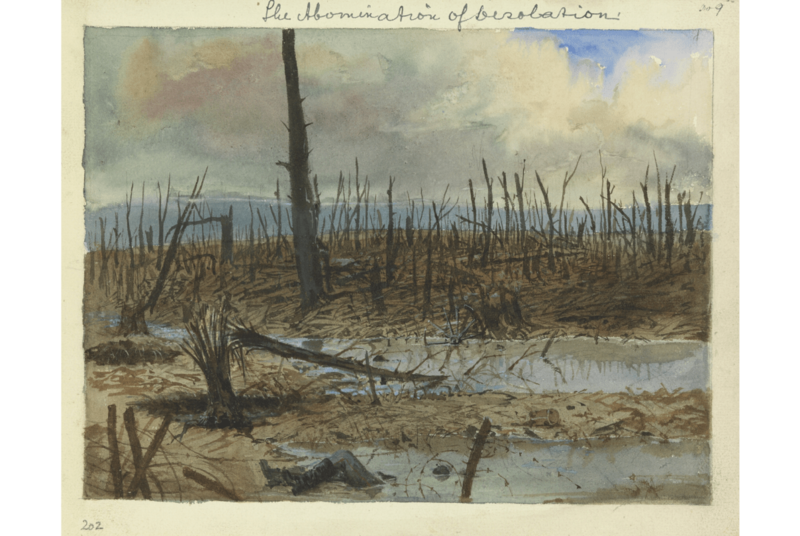 But he seems to have been deeply affected by the horrors of the Front, and produced many charcoal and watercolour drawings of the War’s destruction, later exhibited in the Leicester Galleries in London. One source claims he was the first artist to exhibit scenes of the War. ‘Mametz Wood’ (1916) is an eerie, dreamy picture. The painting is currently inaccessible, and only a detail is show on the ‘Your Paintings’ [now ArtUK] site. It shows the trees, not exposed to the sky as burnt skeletons as in Morrall’s sketch, but in semi-darkness with their foliage still intact. A strange green light percolates through the branches. On closer inspection it seems that many of the branches have suffered injury, and there are indistinct traces of equipment littered on the ground, and possibly human corpses. Dark foliage obscures everything but a semi-circle of murky grey-green mist in the centre of the canvas: the effect is curiously like shaking one of those old-fashioned glass domes and then peering into it as the snow falls on to the miniature winter landscape within. One by one the eye gradually makes out individual details that betray what has taken place here: an abandoned stretcher frame, perhaps, and further back the vague bodies of dead soldiers. It’s unclear whether Handley-Read was an official war artist, or had been commissioned in some other way to accompany the British troops. Nothing seems to be known about the circumstances of this painting, which was donated to the Glynn Vivian by Alfred Mond, the progenitor of the Imperial War Museum, and we can only speculate about Handley-Read’s thinking about it. His other formal paintings in public collections offer few clues. A portrait of Viscount Trenchard, the founder of the RAF, in the Defence Academy of the UK, is conventional and conservative. 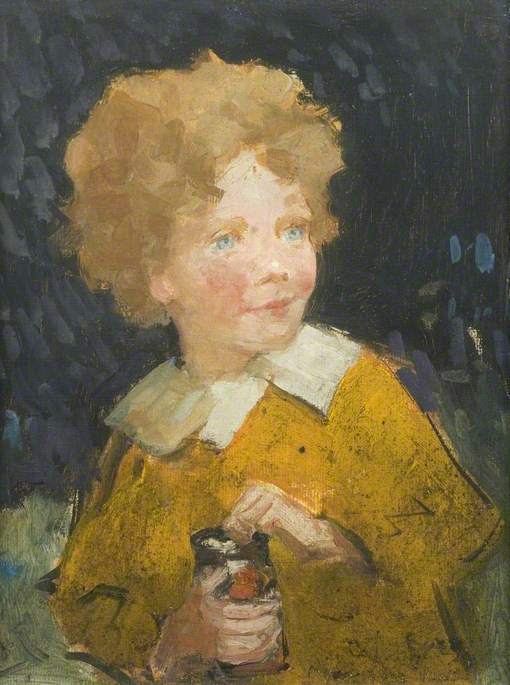 A less formal portrait of his young son, ‘Bull’s eyes’ (1919), in the Cecil Higgins Art Gallery and Museum, Bedford, is fresher and more appealing. 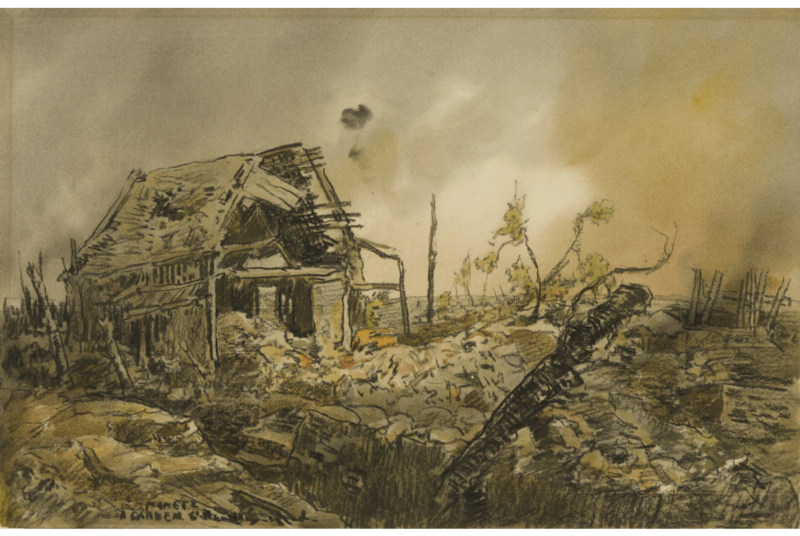 More revealing are the watercolour and charcoal sketches Handley-Read made when he was in France and Belgium during the War, now in the Imperial War Museum; among them is one of a ruined cottage and garden in Mametz. 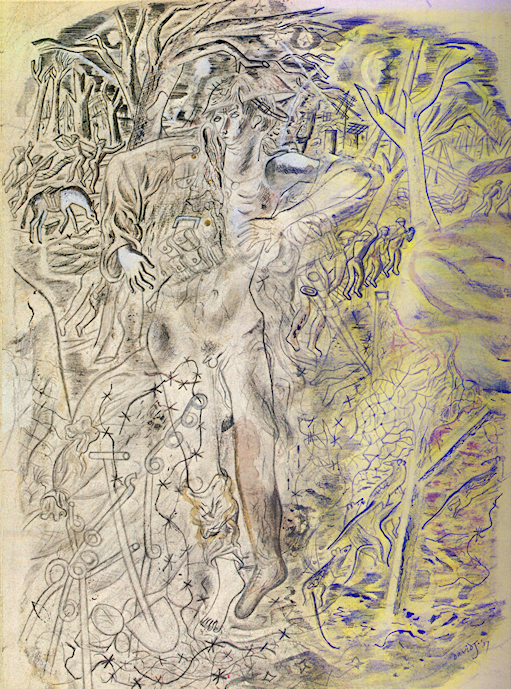 Like David Jones’s drawings these offer glimpses of soldiers and scenes at the front and the wrecked country behind. Paul Gough, in his book A terrible beauty: British artists in the First World War (2010) gathers evidence to suggest that Handley-Read may not himself have visited many of the scenes he depicted. It’s just possible that he never visited Mametz Wood. 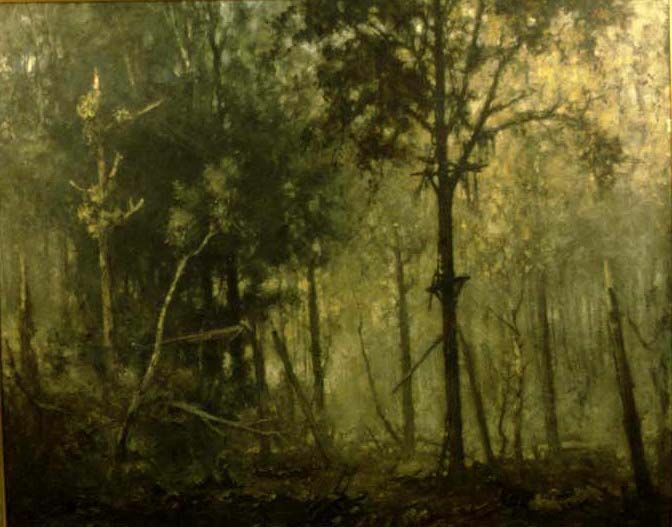 The fact that the wood remains intact in the painting is strange: a soldier called Max Plowman who was there at the beginning of August reported: ‘Mametz Wood is nothing more than a small collection of thin tree-trunks standing as if a forest fire had just swept over them’. Handley-Read’s ‘Mametz Wood’ seems to sit apart, a subtle and unusual treatment of its horrific subject. It doesn’t seek to shock or horrify, like Williams’s grand picture. What it may be aiming to do is to subvert the long-established pastoral tradition in painting – or rather, to renew a variant of that tradition typified by Nicolas Poussin’s ‘Et in Arcadia ego’: unexpected death stalks even the most peaceful of settings, a woody glade. It invites the viewer to stop, take a close look, and meditate quietly about the war and its pity within the wider world of nature. The painting’s dark penumbra of trees acts as the artist’s own silent memorial for the dead. If visual artists congregated around Mametz Wood, so did literary authors. 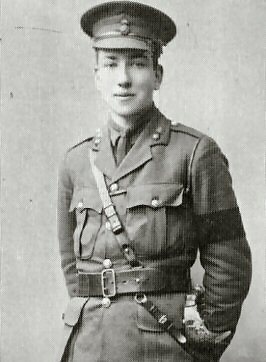 Robert Graves joined the Royal Welch Fusiliers as an officer recruit, on the basis that he had belonged to the Officers Training Corps at his public school, Charterhouse, shortly after war was declared in 1914. The golf club secretary at Harlech, where his mother had bought a holiday home, had suggested the regiment and arranged his recruitment. 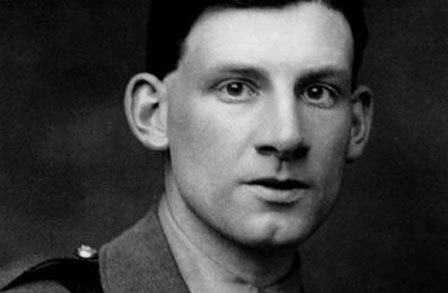 The central part of his famous memoir Goodbye to all that, published in 1929, is an account of his wartime service, from his training in Britain to the trenches and his recuperation back in Britain after serious injury in the battle for High Wood, not far from Mametz, on 19 July 1916. From the viewpoint of 2014 it is a curiously theatrical and detached narrative. It’s full of the stiff upper lip expected of someone of Graves’s aristocratic and private school background. Graves’s penchant for surprising anecdote, one of the keys to the book’s continuing popularity, makes one doubt its veracity. Some contemporaries, like Edmund Blunden, were similarly sceptical of its truth, and its motives: ‘a bombastic and profit-seeking display of your personal affairs’. Though the book is often cited as a narrative that ‘told the truth’ about the horror of the War on the western front, it’s an artfully written text, highly selective in its detailing. Graves can’t free himself sufficiently from his loyalty to his regiment, his class or his country to be able to denounce the conflict and its perpetrators, or to call for its cessation (‘the war would inevitably go on and on until one side or the other cracked’). They have a very limited morality, but they keep to it. It’s moral, for instance, to rob anyone of anything, except a man in their own platoon … They are lecherous the young ones at least, but without the false shame of the English lecher. As a boy Graves had grown fond of the Harlech area, but he freely admits that he had no interest on its human inhabitants. His lack of sympathy for people who fail to share his class or nation doesn’t endear him to the 21st century reader. The next two days we spent in bivouacs outside Mametz Wood. We were in fighting kit and felt cold at night, so I went into the wood to find German overcoats to use as blankets. It was full of dead Prussian Guards Reserves, big men, and dead Royal Welch and South Wales Borderers of the New Army battalions, little men. Not a single tree in the wood remained unbroken. I collected my overcoats, and came away as quickly as I could, climbing through the wreckage of green branches. Going and coming, I passed by the bloated and stinking corpse of a German with his back propped against a tree. He had a green face, spectacles, close-shaven hair; black blood was dripping from the nose and beard. I came across two other unforgettable corpses: a man of the South Wales Borderers and one of the Lehr Regiment had succeeded in bayoneting each other simultaneously. What seemed extraordinary was that all the dead bodies there lay just as they had fallen in their original places, as though they were being kept as an exhibit for a war museum. Germans in their field-grey, British in their khaki lying side by side, their faces and their hands a pale waxy green, the colour of rare marble. Heads covered with flat mushroom helmets next to heads in domed steel helmets that came down behind the ears. Some of these figures still sat with their backs against a tree and two of them – this had to be seen to be believed – stood locked together by their bayonets which had pierced one another’s bodies and sustained in that position by the tree trunk against which they had fallen. I felt I was visiting a room in Madame Tussaud’s Chamber of Horrors, for I could not imagine any of these bodies ever having been alive. Yet the effect in its morbid way was beautiful. Quoted in Jonathan Gathorne-Hardy, Gerald Brenan: the interior castle – a biography, London: Sinclair Stevenson, 1992, p.113. I have said that spring arrived late in 1916, and that up in the trenches opposite Mametz it seemed as though winter would last for ever. I also stated that as for me, I had more or less made up my mind to die, because in the circumstances there didn’t seem anything else to be done. … quite unexpectedly, I found myself looking down into a well-conducted trench with a great many Germans in it. Fortunately for me, they were already retreating. It had not occurred to them that they were being attacked by a single fool … Having thus failed to commit suicide, I proceeded to occupy the trench – that is to say, I sat down on the fire-step, very much out of breath and hoped to God the Germans wouldn’t come back again. Having ‘meditated’ for a few minutes, ‘like a boy who has caught a fish too big to carry home’, he returned to his own lines, to an angry welcome: why had he struck out on his own, why hadn’t he send a message back? ‘Obviously I’d made a mess of the whole affair’ – and caused a planned artillery bombardment to be delayed by three hours. The same reckless exploit – not for nothing was Sassoon known among his fellow soldiers as ‘Mad Jack’ – is narrated by Robert Graves, though characteristically he adds the decoration that Sassoon had sat down in his captured trench and read a book of poems he’d brought with him. Our little trench under the trees was inundated by a jostling company of exclamatory Welshmen. They were mostly undersized men, and as I watched them arriving at the first stage of their battle experience I had a sense of their victimization … [The platoon officer] spoke sharply to some of them, and I felt that they were like a lot of children. It was going to be a bad look-out for two such bewildered companies … Visualizing that forlorn crowd of khaki figures under the twilight of the trees, I can believe that I saw then, for the first time, how blindly war destroys its victims. The sun had gone down on my own reckless brandishing, and I understood the doomed condition of these half-trained civilians who had been sent out to attack the Wood … Two days later the Welsh Division, of which they were a unit, was involved in massacre and confusion. Our own occupation of Quadrangle Trench was only a prelude to that pandemonium which converted the green thickets of Mametz Wood to a desolation of skeleton trees and blackening bodies. To take some cursed Wood … O world God made! It was not a long emotional journey for Sassoon from this perception to the publication in July 1917 of his famous ‘A soldier’s declaration’, in which he announced his belief that the war was being deliberately prolonged by ‘those who have the power to end it’. Robert Graves arranged for Sassoon to avoid being court-martialled for this ‘act of wilful defiance of military authority’, and instead to be sent to Craiglockhart War Hospital in Edinburgh to be treated for ‘neurasthenia’. Sassoon’s stay in Craiglockhart and his meeting there with Wilfred Owen are re-imagined by Pat Barker in her fine novel Regeneration (1991). Graves, Brenan and Sassoon all saw the war and their fellow combatants from the viewpoint of the officer class. Another writer, Llewellyn Wyn Griffith, was attached to the brigade headquarters staff in command of the troops. His book, Up to Mametz (1931), reflects the view of the Generals, but also his own appalled reaction to the fighting. His chapter on the battle ends with the words, ‘… I felt in some queer way that an episode was ended, that all feeling had been crushed out of existence within me’. Yet another Mametz writer was Ford Madox Hueffer, who served as a commissioned officer with the Welsh Regiment and who was encamped at the south end of Mametz Wood on 21 July 1916; as Ford Madox Ford he continued his career as a novelist, drawing on his war experiences for the Parade’s end tetralogy (1924-28). David Jones was very different from all these writers. He enlisted as a private soldier, and remained a private throughout the war. He didn’t know Graves, and though they were both in Mametz on 5 July 1916 he met Sassoon only once, in 1964. He describes himself as ‘not only amateur, but grotesquely incompetent, a knocker-over of piles, a parade’s despair’. This may have been a self-disparaging portrait, but all agreed that he was hardly officer material. Unlike the other artists and writers he took a direct part in the battle to capture Mametz Wood between 7 and 12 July, and was wounded within the wood itself. He gives us the ordinary soldier’s view of the front quite lacking in other ‘literary’ texts. 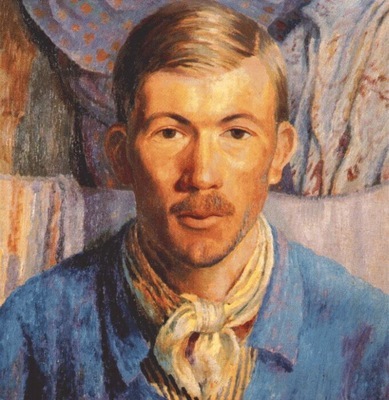 Like Sassoon David Jones revolved his war experience in his memory and his mind for many years after the war ended. He was one of the last writers to publish his account, In parenthesis, in 1937, on the threshold of another world war. And the means he chose was very different: not poetry or prose but an epic of sorts that mingles the two. As an author David Jones is a modernist, much influenced by T.S. Eliot’s The Waste Land (1920). He writes in a way that’s fragmented, multi-vocal and highly allusive. Even more than Eliot he interleaves the narrative of his poem with literary and mythographic precedents, from the Bible and Catholic liturgy, from early Welsh texts and Arthurian legend. Language registers flux suddenly from heroic epic to squaddies’ demotic and music hall song. Early English, Latin and Welsh pepper the text. These procedures aren’t for ornament or ostentation: Jones uses them to give historical depth and context to an experience of war by an ordinary soldier that otherwise seemed random and without meaning. The title, Jones explains in his preface, emphasises that the eight month period covered by In parenthesis, December 2015 to July 2016, appeared to be a space apart from the rest of his life – though in truth it occupied his thoughts for the rest of his life. He denies, too, that it’s a ‘war poem’, but rather a search for ‘how we may see formal goodness in a life singularly inimical, hateful, to us’. Nevertheless, for most readers it’s as a vividly felt re-enactment of a war and battle that the book lives today. In parenthesis tells the story of a soldier’s journey, from a training camp in England to the western front. 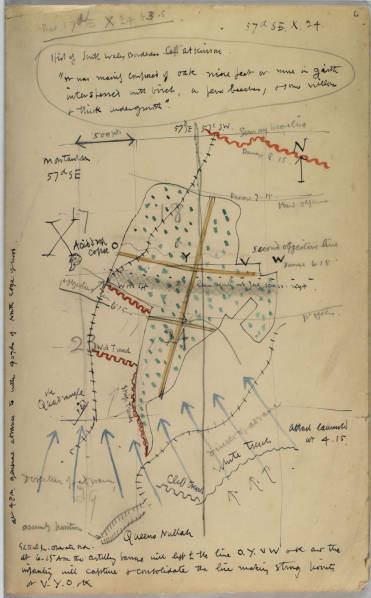 Part 7, its climax, follows ‘Private 25201 Ball’, Jones’s alter ego, into the attack on Mametz Wood (never named) and the fighting within the wood, up to, and shortly after, the point when Ball is wounded in the leg. The narrative flow, told mainly in verse rather than the predominant prose of the earlier Parts, is at times hard to follow, and sometimes feels clogged by christological and mythological undergrowth. But even the swift reader can’t fail to be caught up in the overwhelming, multisensory swirl of the battle, and it’s this immediacy and authenticity of the private soldier’s experience that gives David Jones’s view of Mametz a special force. or won’t any one before it snaps. In the waiting, memories flash of peacetime back home, and ordinary life. Another sudden death: ‘Wastebottom married a wife on his Draft-leave but the whinnying splinter razored diagonal and mess-tin fragments drove inward and toxined underwear.’ Then the assault begins: ‘But sweet sister death has gone debauched today and stalks on this high ground with strumpet confidence … By one and one the line gaps, where her fancy will – howsoever they may howl for their virginity she holds them’. Many of his comrades already dead, including ‘Mr Jenkins’, one of the few officers viewed with any respect or affection, Ball/Jones succeeds in reaching the outskirts of the wood. Deeper within the wood confusion reigns. 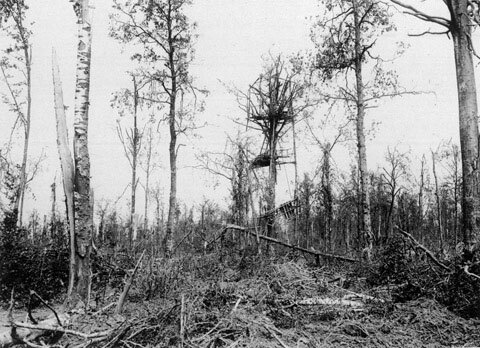 Booby traps lie hidden on the ground, gun platforms in the trees. Fighting is hand-to-hand and brutal. And the other one cries from the breaking-buckthorn. For the parish priest of Burkersdorf in Saxe Altenburg. their seemly faces as carved in a sardonyx stone; as undiademed princes turn their gracious profiles in a hidden seal, so did these appear, under the changing light. Then at last all is quiet, and the Queen of the Woods, an amalgam of Diana, Titania and the Virgin Mary, appears to lay a bough on each of the dead soldiers – each soldier is named, British and German (the latter were previously referred to only as ‘he’ and his’). At the book’s end there is no transfiguration or comfort, or even summing up, merely a quiet insistence on the truthful witnessing of what occurred. The poem is a deeply conservative work which uses the past not, as it pretends to do, to shame the present, but really to ennoble it. The effect of the poem, for all its horrors, is to rationalise and even to validate the war by implying that it somehow recovers many of the motifs and values of medieval chivalric romance. In part Jones’s preface seems to lend support to this view – he makes a distinction between the earlier part of the war, including summer 1916, and the later period, when ‘things hardened into a more relentless, mechanical affair’. The original edition of the book carried a frontispiece and an endpiece – both of them clearly declaring the Christian act of sacrifice. But few readers of Part 7 could leave it feeling that the battle of Mametz Wood, far from being heroic, was a tragic, bloody and unnecessary slaughter. 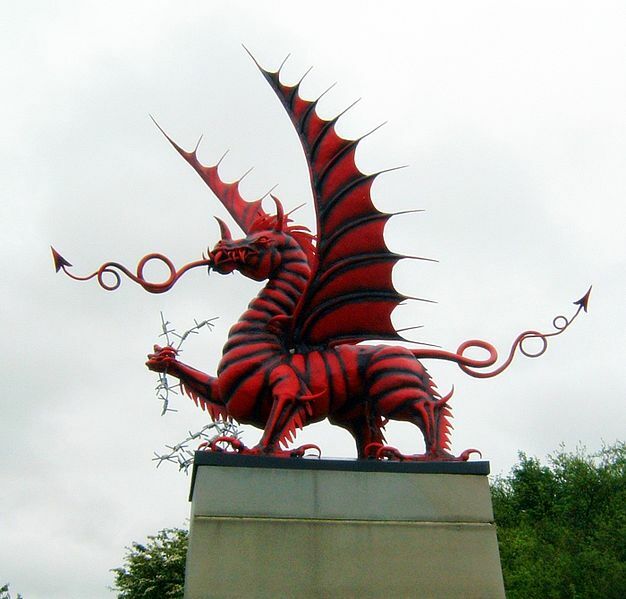 There seems no likelihood that the words Mametz Wood will fade soon from the memory of Wales. The attack on the wood was not futile. The wood was a key strategic position which had to be taken before the successful attack on the German Second line which took place in 14th July 1916. It’s is not ideal to view the war through the eyes of poets whether contemporary or modern. Far better to look at the individual stories of heroism and sacrifice of those who served 109 years ago. This is the spirit in which the memorial was commissioned from David Petersen and built by public subscription in 1987. The generals at the time agreed with you. But futile is a precise and accurate description of the battle, and of the whole war, which solved nothing and sowed the seeds of another world war. Heroism is a quite separate question, and ‘sacrifice’ is a highly complex and value-laden concept, much loved by apologists for war.